If you are either looking for apples, or have them to sell or give away then let everyone know in the comments below. If you know of local groups that are already started sharing surplus apples and other fruit in your area, please leave their details in the comments below too! We hope you think this is ethically, socially and environmentally friendly way of managing the free resource of fresh apples we have each year! Ps near Bath in Somerset! I live in Bath and am always looking for apples for cider. Happy to share a litre or two as well – I am at the very hobby end of cider production. I am south side of Bath is that near you? Anyone Berkshire (maidenhead) area need apples in exchange for some lovely home made cider? Have one large tree laden with ripe apples, small red sharp, divinely crunchy but no way to use them. Anyone want them for cider for a small cider levy by return? We too have a large surplus of apples and are 1/2 hr south of Bath, willing to trade for cider. I don’t need any thanks, I have lots to be collected! Are you still looking for apples? Have large quantity of cookers, on tree. We have a very large tree full of cooking apples, well beyond what we can use, if anyone is interested in collecting. Otherwise they will go to waste. Edinburgh area. Does any one have surplus apples on the wirral, iam going to buy a small cider press and have a go at making some cider. I have a small tree in my garden, but iam not sure if it has enough apples on it, to get a worth while return of cider. Wirral Pomona, as you’ll have found out by now, is a collective of recycled cider-drinkers, cooks, tree-planters, orchard promoters, waste-reducers and sustainability champions who will lend equipment and share resources and ideas to make cider and fruit juices, with a good deal of music and community activity on the way.. Next meeting is to look at some free premises to make and store cider in West Kirby. I have a tree loaded with eating apples in London N16 (Dalston / Stoke Newington) and would love some help picking them (and some cider). Apples available for cider-making near Stone, Staffordshire. I am an amateur cider maker in Leicestershire. Happy to take what ever you have off your hands in exchange for a share of the outcome. Anyone have surplus cookers in leicestershire? Hi we have lots of surplus apples and will give them away free in exchange for some cider. Surplus of cookers (variety unknown) perhaps 1/3 – 1/2 tonne available in exchange for some cider in Leicester area. Hi Adrian. Do you still have the apples, and what type of apples are they? We are very interested in collecting as our main supplier has let us down very badly and we now find ourselves short. Can you phone me on 01763 281403 or give me your contact details? Thanks. Lynne. Hi there. We have quite a few surplus apples but no apple press. Would anyone be able to press them for us – we live in Edinburgh. Thanks! We have had a good apple season and most are now just waiting to be picked up. The variety is probably a large Bramley cross, sharp to taste and good for cooking. We live near Corley Moor, north east of Coventry and would welcome anyone who would collect them in exchange for some nice cider. Cheers! Hi Mike, My mobile number is 07952407084 if you would like to arrange a visit. Not sure if anyone still uses this site but I’m looking for anyone with surplus apples I can use, West Midlands area, thanks. Apples for anyone in the Glasgow area, must collect tho. 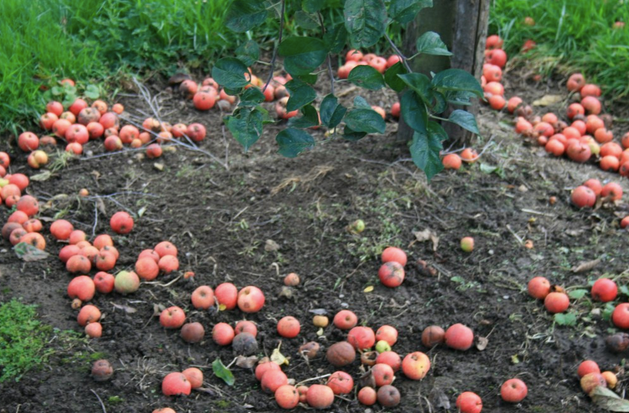 West Berkshire – our tree has apples that SMELL like cider – is there anywhere that can help us make the fruit into cider? I have a neighbour in Redditch with two apple trees laden down. They would like someone to be able to use them. A family member who has 2 apple trees a lot of them go to waste. Happy to give in exchange of a few cider bottles. The apples are ready now. Hi luke, we have an apple tree full of ripe green apples in luton, if you are interested? do you still have any apples- are they ripe – what sort of quantity – and what type are they – I am in Edinburgh so happy to come accross. Hi Di – do you have any apples, I am also in Edinburgh and making Cider. I live in Currie just outside Edinburgh and have apples I would be happy to give away. Hi Anne – a godsend. What sort of quantity do you have / cookers or eaters? Hi Lorraine – where are you based? Ah… I am in Edinburgh.. a bit too far for me – good luck though. mat, at the moment I am in most of the time during the day and evening. Help!….apples needed for cider making – happy to share cider (if drinkable) can come and collect any time from Edinburgh, Glasgow, Stirling. Eaters or cookers, no problem if slightly damaged. Hi Mat, what kind of apples do you need? We have loads of red eating apples still on the tree, have only started picking them so a bit late in getting rid of them. We’re in Stirling and would be happy to share cider. Hi Karen, that’s great, I am in Stirling tomorrow, I could pop over around 5.30pm. Where are you situated? We’re just off Pike Road, if you email me at [email protected] I will give you the address. Hi Mat, just in case something not working with emails, I’ve replied to your email re address, let me know if you get it? In case haven’t got email, you can text me on 07999336362. My name is Anne Yates and I have three trees full of fruit if anyone is interested in buying them my email is below. Hi, I have 2-3 acres of very old apple and perry pear orchards a few miles to the west of Worcester – looking for someone to buy the apples. I think there are about 30-40 apple trees and the same again in perry. Apple tree covered in apples, quite sharp, but a little floury to eat. Near Fulbeck, Lincolnshire. Hi does anyone need apples near Saxmundham, Suffolk. we have 40 trees and are willing to give them to a good cause. Tom in Redditch has 2 Bramley apple trees producing large quantities of apples currently being thrown away anyone interested in collecting? Pat in north Hampshire has small orchard with different varieties of apples and perry pears for anybody who wants them.We have taken what we want for storage. Tons of apples are available, transport can be arranged, no small packages. Looking for apples this autumn (2017) to make cider for personal use. Glasgow southside would be ideal but happy to travel 10 mile radius of Glasgow. Happy to share some of the cider with the apple provider! Looking for apples this autumn (2017). Happy to collect and share some of the cider. Hi Hugh, my mother in law lives in the south side and has 2 apple trees if you’re interested? Thanks for getting back to me. I’m on 07793 776002 if you would like to discuss. We’re in Pollokshields. Thank you very much Denise. My number is 07946600152. Please get in touch if the apples are still on offer. Thanks for the offer. Please text me on 07793 776002 to arrange collection. Are you still looking for apples? The Smithy Heritage Centre in Eccleston St. Helens is holding an apple day on the 28th of October. We had planned to collect apples from the local residents which was then going to a cider maker. Sadly the company has ceased but our event is still going ahead. We are looking for somebody who could take the apples. Yes, still looking for apples. Have you some? Please call. Surplus apples from the cooking tree in our back garden in Burnham, Berkshire. If anyone wants them just email me at [email protected]. We have lots of windfall Bramleys from our two large trees. Are there any cider makers in Gloucestershire who could use them?